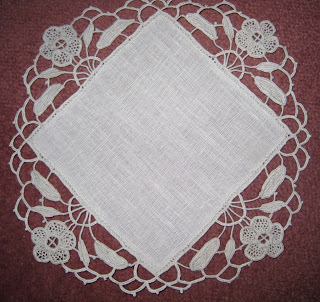 For some time now I have been teaching myself Aemilia Ars needle lace from Italian books on the subject. It originated in Aemilia in Italy hence its name. I happen to love it. 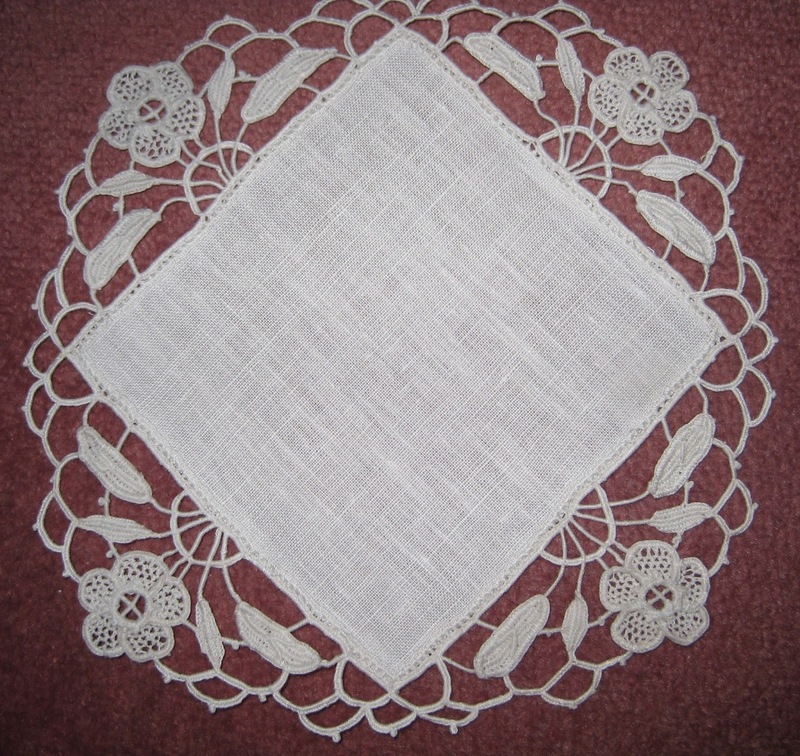 The technique for doing it is quite different from other needle lace & it takes quite a long time to do. Here you see the completed doily plus a close-up. I hope to do much more of it now that I am more used to the technique. I have other pieces which I did earlier which I will post here later. Keep watching. Die Spitze gefällt mir sehr gut! Thankyou both! I love doing this work.